The Bofors scandal, relating to the alleged payment of kickbacks in the procurement of Howitzer artillery guns, had triggered a massive political storm and is believed to have led to the fall of the Rajiv Gandhi government in 1989. The Bofors case is believed to have led to the fall of the Rajiv Gandhi government in 1989. 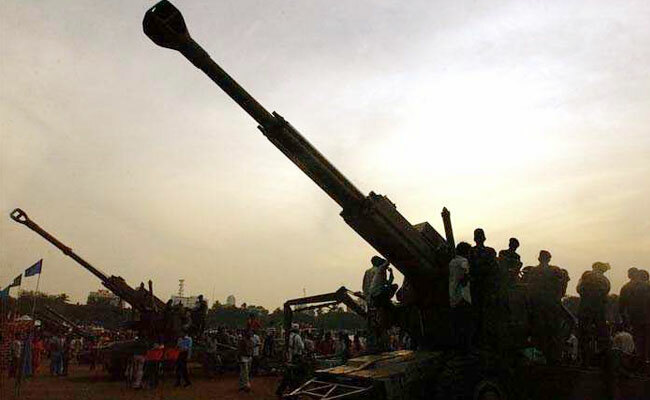 New Delhi: A parliamentary panel looking into the Bofors gun deal for almost 27 years is likely to finalise its report on the issue in the current Budget Session, members said. The CAG report on Bofors is the oldest "pending" matter before the Public Accounts Committee (PAC). The main function of PAC is to examine an audit report of the Comptroller and Auditor General of India after it has been placed in Parliament. The six-member PAC sub-committee on defence is looking into the non-compliance of certain aspects of the CAG report of 1989 and 1990 on the Bofors Howitzer gun deal. The report has been delayed as action taken notes were not submitted before the panel by the concerned ministry and government organisations, said a member of the sub-committee, chaired by the BJD's Bhartruhari Mahtab. While deliberating over the defence deal, the panel had asked several top government officials to appear before it and to brief the members about the matter. The drafting of the report has been initiated and is likely to be finalised during the Budget Session, said another PAC member, who added that the report would be comprehensive and clear misconceptions about the deal. After the report is finalised by the PAC sub-committee, it will go to the main committee for its approval, where, a member said, Congress MPs may oppose portions of the report. The main committee is headed by Mallikarjun Kharge of the Congress. Recently, the CBI filed a petition in the Supreme Court challenging a 2005 order of the Delhi High Court quashing all charges against those accused in the politically-sensitive pay-off case. The filing of the appeal assumes significance as Attorney General K K Venugopal had recently advised the agency against moving a petition 12 years after the high court's verdict.